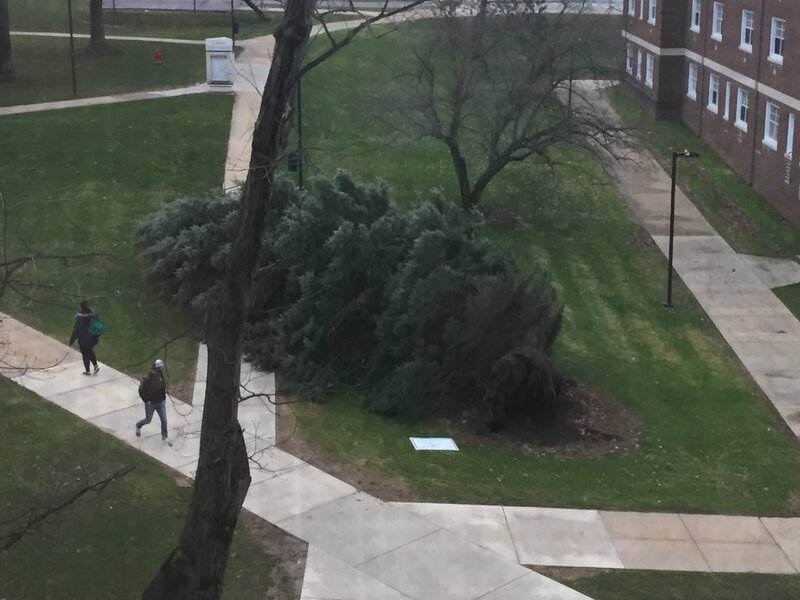 High winds on Wednesday caused issues across nearly every municipality in Butler County. Local emergency crews responded to several calls for downed power lines, poles and trees throughout various locations. The calls started coming at 6:30 a.m. and continued steady until 4:00 p.m.
Thousands of county residents lost power yesterday- many for several hours. Central Electric Cooperative and West Penn Power crews were trying to keep up with repairs. Some schools were affected by the outages. Saint Wendelin Catholic School in Butler dismissed students early due to a power outage. The Butler Area School District issued an alert to parents Wednesday afternoon warning that downed tree and power lines could mean delayed drop-off times for students returning home from school. On Thursday morning there were still about 200 outages to West Penn customers in the county. The majority of those outages were in Penn Township.